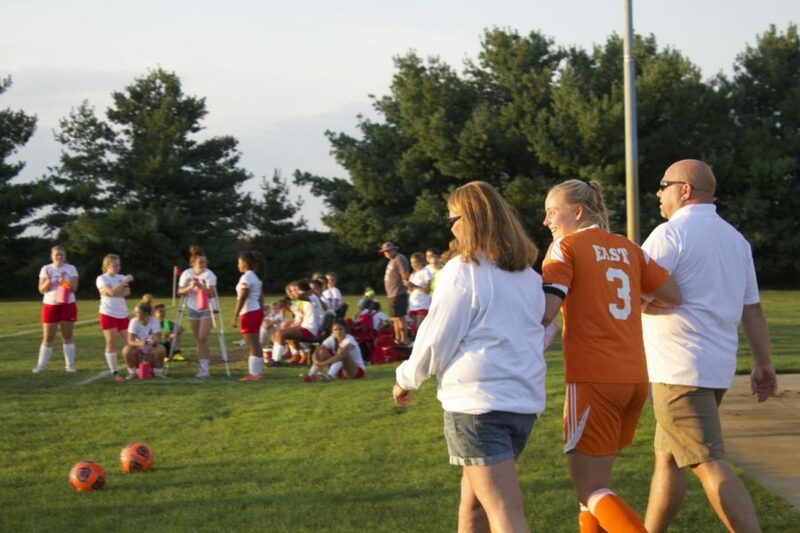 Last night was the last time playing at Richard Whigh Soccer Complex for four seniors: Kamebry Wagner, Breiana Burton, Sarah Park, and Annie Bastian. The girl’s soccer team went against Jeffersonville, winning with a score of 5-0. Senior Sarah Park walks out with her mom and dad.